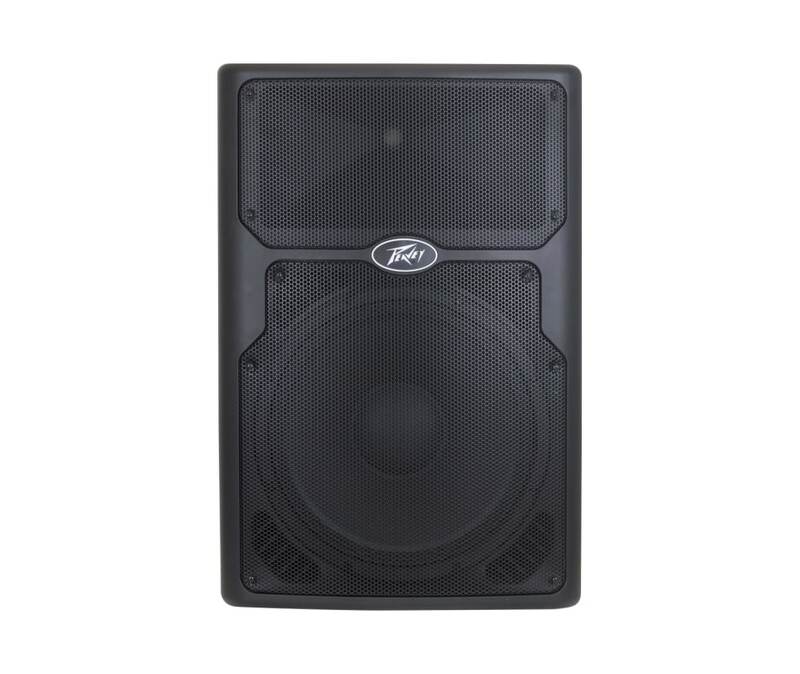 The PVXp 15 DSP features a reliable bi-amped power section that provides a total of 830 Watts of peak available dynamic power. With that much available power, speaker protection is critical. Advanced digital signal compression prevents audible overload, protecting the speakers from harmful distortion at high output levels. This powered enclosure also includes heavy duty speaker drivers; it features a 15" woofer with a 2-3/8" voice coil and a 50 oz. magnet. This is coupled with the RX14 compression driver that includes a 1.4" titanium diaphragm on a 100-degree horizontal x 50 degree vertical pattern asymmetrical horn. The PVXp 15 DSP provides a balanced input via a combination jack that accepts a balanced TRS 1/4" input, as well as a balanced XLR input and summed RCA jacks. There are two balanced Thru outputs, a male XLR and a 1/4" TRS. The LCD display and EQ presets, along with other operating parameters are accessed via a one-knob selector. Asymmetrical horn aims the sound down 10 degrees, at the audience, not over their heads.